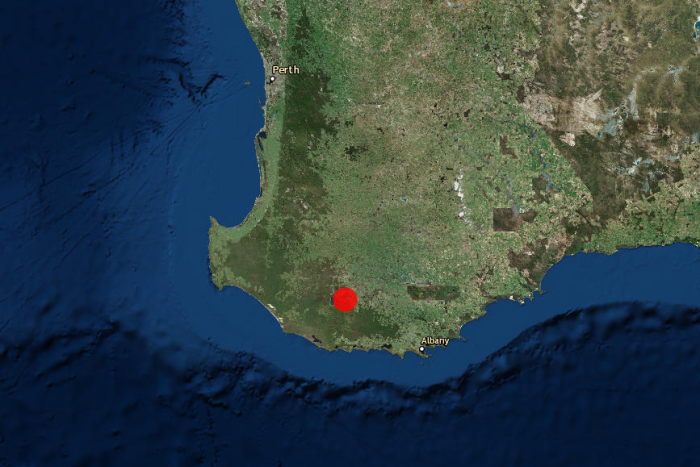 The quake struck the Lake Muir area, about 330km south of Perth, just after 5:00am. A magnitude-5.4 earthquake has hit the Lake Muir area of Western Australia’s south-west, about 330 kilometres south of Perth. The earthquake struck just near Walpole just after 5:00am, with people feeling its effects as far away as Perth and Albany. Many residents in Perth took to social media to say they were woken up by the tremor and report buildings shaking. Kojanup resident Jane Beswick, who lives about 150 kilometres away from where the earthquake struck, said she was also woken up. “I was dead to the world,” she said. Pemberton resident Debra O’Donnell said her whole house shook and the quake was “quite violent”. “This one was really big, it shook the whole house,” she said. “It was like the whole roof was going to cave in. Bridgetown resident Frank said it was the largest tremor he had felt since moving to the area almost 15 years ago. Geoscience Australia senior seismologist Jonathan Bathgate said it was the second large earthquake to hit the area within two months. 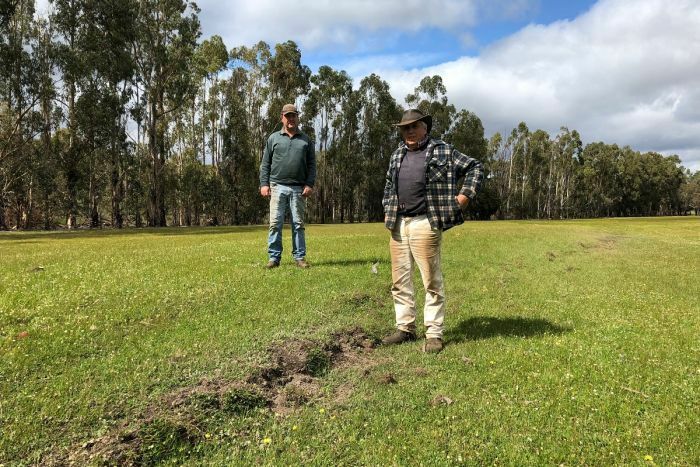 “This is a little bit of increased activity following the magnitude-5.7 that occurred in the Lake Muir area on the 16th of September,” Mr Bathgate said. “Prior to this magnitude-5.4, the largest earthquake in the aftershock sequence was a 4.6 that occurred on October 12. “So the activity has been fairly consistent over the last few months in that area, and we’ve located more than 600 earthquakes in that period. Mark Muir’s property at Mordalup is close to the epicentre of the latest earthquake and the last large one in September. “This one here was a lot more violent than the original one we had here,” he said. Mr Muir’s neighbour Rob de Campo discovered cracks zigzagging across his paddocks following the September quake. He said he was concerned the tremors would get bigger. “It’s sort of exciting but I tell you what, I’m really over it,” he said. Mr Bathgate said the south-west corner of Western Australia was very seismically active. “This part of the country is where we record nearly half of Australia’s earthquakes every year,” he said. “It’s not unheard of to have a large earthquake in amongst an aftershock sequence like this. “We had the magnitude-5.7, and generally what happens is those earthquakes will get smaller and less frequent over time, but you do get these larger earthquakes mixed in.